St. John’s by the Sea Episcopal Mission was established in Hyde Park in 1912 in a modest wood building. In 1917, the mission became a parish with 108 communicants. Construction began on the present masonry building in 1924. The Mediterranean inspired asymmetrical Mission style building featured a dominant bell tower on the front facade. The church and a new pipe organ were dedicated in 1928. 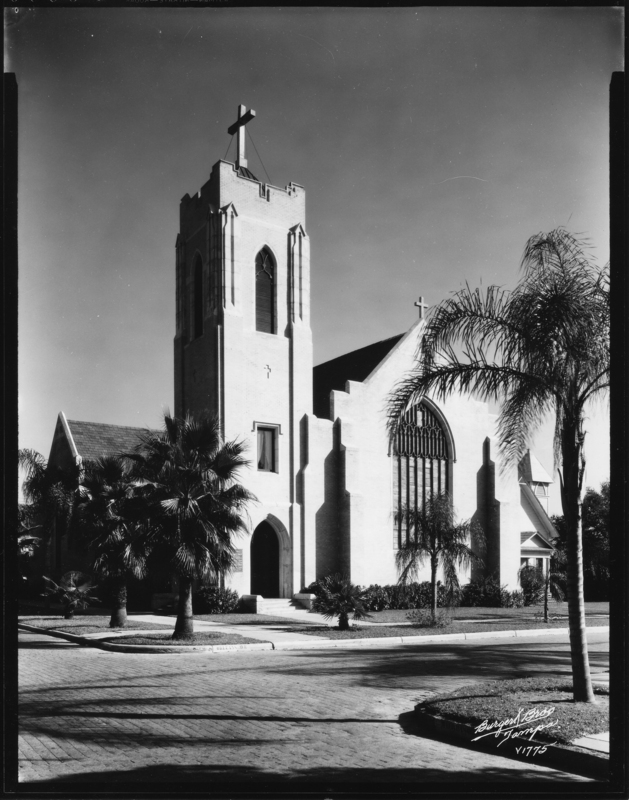 By 1944, the mortgage on the church was completely satisfied, and the building was consecrated. The exterior and interior architectural details remain and have been preserved.